Cabin noise during the drive is a significant concern for many vehicle owners. A quiet ride has become a priority for car buyers. Though automobile manufacturers have paid particular attention to certain aspects of safety, comfort and road handling to design a high performing vehicle, they overlook the production of noise during the drive. The manufacturers have unknowingly neglected a sizeable segment of buyers who value a quiet ride. If you prioritise quite ride while buying a new vehicle, you will be facing a shortage of options. This is because automotive manufacturers put too much emphasis to develop cars for sporty road handling. As these automobiles are fitted with stiffer chassis and suspension to deliver quality handling on high speeds and steep curves, they will eventually produce more noise during the drive. Although a limited number of automobiles are made to provide a noise-free ride, you can intelligently control/reduce the level of noise production after changing tyres. Premium manufacturers like continental tyres in Dubai are making pieces with a tread pattern, which is capable of offering enhanced traction to reduce noise. A wide range is available which differs from each other from several aspects like tread pattern, size and quality of the material. This makes it confusing for many to pick a suitable pair to reduce the noise during the drive. Here I am sharing a buying checklist for vehicle owners seeking to replace current pair of tyres to reduce the noise produced during the drive. When it comes to purchasing fresh pair, a common misconception is observed among inexperienced buyers. They mistakenly assume high performance tyres a universal choice to fulfil their desires of quiet ride, high speed, maximum performance on bumpy and off the roads tracks. The word performance in the name, clearly suggest that these tyres are designed to perform on worst tracks, they produce noise even on the smooth track due to tread design. 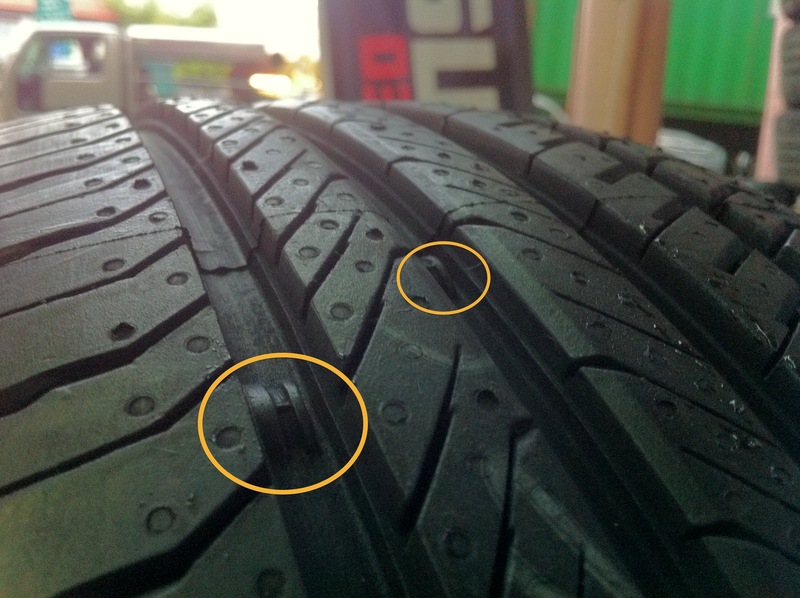 This clearly suggests auto-owners to avoid buying performance tyres if quietness and comfort is their priority. Luckily, a number of premium grade tyre manufacturers are making serious efforts to engineer tyre pieces to deliver smoother and quieter drive for comfort seekers. They purposefully create a tread pattern, which effectively reduces the cabin noise without affecting control over your vehicle. Don’t forget to check the manufacturer catalogue for product information to confirm whether the specific piece you are buying is made to reduce noise levels or not. Prefer purchasing pieces that are made with noise-cancelling reduction technology. No matter how carefully you may have selected a suitable pair of tyres for your vehicle. If you don’t keep them aligned and ignore rotating forward pieces to backwards or vice versa, you can’t protect yourself from experiencing a noisy ride. Tyres are made from a flexible rubber which tends to harden and break after a certain period. Rotation of tyres stops uneven wear and deliver a quiet ride for a longer duration. Moreover, alignment issues will speed up the uneven tread wear which increases the noise during the drive. Endnote: Proper care and selection of suitable tyres from reliable brands like Continental tyres in Dubai play a critical role to reduce the level of noise and offer smooth a smooth drive for comfort seekers.